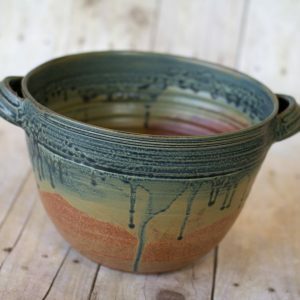 The Holman Pottery Gallery is dedicated to making and selling handmade artworks. 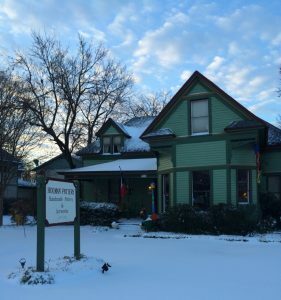 Our studio and gallery is located in an 1890 Queen Anne style Victorian cottage on a half acre in the Haggard Park Historic District near Historic Downtown Plano. The gallery features the work of Tony Holman. His functional pottery is unique and made from fine white stoneware. This pottery contains no hazardous materials such as lead and can be used every day in the microwave, dishwasher, and oven. Inside the century old home visitors will find an eclectic gallery with Holman Pottery as well as artwork (pottery, glass, iron, sculpture, jewelry, etc.) from artists all across America. All items are handmade one of a kind pieces. Please explore our website for further information on our pottery and when in Plano, Texas please visit our studio/gallery! If you live outside our area, please email us at info@holmanpottery.com regarding the availability of Holman Pottery in a gallery or fine gift store near you.